December 6, 2012 By Staff & filed under All Articles, Instructor Profile Series. Mike Seeklander has extensive experience behind the gun in a variety of arenas, including as a combat veteran of Desert Shield and Desert Storm with the U.S. Marine Corps, a law enforcement officer, senior instructor at the Federal Law Enforcement Training Center, lead instructor for the Federal Air Marshal Service firearms division, and a champion competitive shooter. Currently, he draws on this broad base of experience to train professionals and private citizens through his company, Shooting-Performance. Curriculum design for firearms training is another of Mike’s interests and has resulted in books and DVDs containing complete training packages for competition and defensive shooters. On the rare occasions that Mike is not doing something firearms related, he might be training and practicing in the various martial arts that he holds rank in. Mike is well known to PDN readers from his numerous firearms articles and video clips, and participation in the PDN Training Tour, so we’re long overdue to ask him our Top Ten Questions for Trainers. 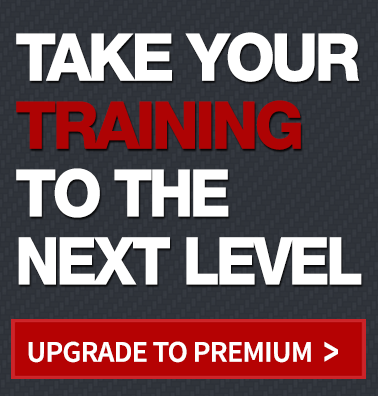 I have always been a trainee, someone who trains as much as possible to increase skill. In the late 1980s, I began to use some of the high-performance shooting techniques used by top practical shooters to increase my skill and enhance my ability to survive a gunfight. That led to a passion for figuring out what allowed the best shooters to perform at the level they did. By default, I took many training classes from the best tactical and competitive shooters in the world, and soon began to get requests from those I shot with for instruction, so I decided to teach some of the things I had learned. This opened up a whole new dimension of learning, as real learning occurs when one teaches, and is forced to critically look at the technique they use and figure out how to break it down and relay it to students. This began a fulfilling symbiotic cycle of training/teaching/training/teaching. I teach people how to solve problems and perform, whether in competition or defensive environments. Rarely does an instructor have the level of training that I possess in both areas, and I have a unique way of specifying the context of what the training is intended to do, and focusing on teaching in a manner that meets the goal. While competition and defensive environments are very different in some ways, the performance on demand required by each is unique. I focus on those similarities and differences in my classes, and am very careful not to mix the two arenas up. Most students I work with are already motivated to learn. This is one area I am lucky in, and I greatly appreciate it from my students. When motivation is necessary, reminding that student what failure means to them usually does the trick and lights the fire. Students can expect clear, concise instruction with a serious but fun communication style that will influence their learning and enjoyment in class. I specifically focus on the whys behind any technique I teach, and make sure I “sell” the student on what I want them to do versus “tell” them what to do. Student buy-in is a critical piece of the learning equation. Those who perform on demand at a high level. Tenacious, hard-working individuals who do not know the word quit. Specifically, some of the warriors who defend our freedom and way of life. Students can expect to take away a training system including an understanding of the mental factors involved in training, solid techniques that are executable on demand, and a series of drills that will allow them to work these techniques when they train on their own. I want every student to leave class not just knowing how to perform the correct technique, but also how to practice and self-correct when they are at the range. I teach such a wide variety of classes, from the competition arena to the defensive side, that I do not have a typical student. If I had to label them, I would use this phrase: motivated to train. Build a training system comprised of mental, physical and technical training drills that allow the student to develop reflexive firearm skills that can be used on demand under stress. Complement this training with a clear understanding of strategies and tactics that will influence the end result in a positive manner. Lastly, “Perfect Design and Correct Execution” of training drills will ensure the proper results are met. I would hope for the progressive release of more materials similar to what I have done with Your Competition Handgun Training Program, a complete training program for the practical shooter. The book and DVDs have received much attention and have been successful as a full program that someone who is unable to take a class can follow. Recently my book that provides a training program for defensive shooters has been published. Your Defensive Handgun Training Program fills the void for those looking for a comprehensive book that covers how to train for defensive uses of a handgun. Other than that, I hope to continue to share my philosophy with students across the U.S. and all over the world in training classes and seminars designed to show people more than just how to shoot, but how to train. I see the industry continuing to grow as more people get introduced to firearms as well as feel the need to defend themselves. I have dramatically changed the way I approach and teach close-quarters techniques and philosophy. I learned the original “rock and lock” and used to think getting a gun into the fight at close ranges was a possibility in most cases, but have changed my opinion to the opposite theory. My belief now is that drawing a firearm at close-range distances is often the wrong response initially. Combatives is in most cases the correct solution, depending on the circumstances. I credit Mike Brown, Brandon Bennett, Virgil Litterel, and Craig Douglas (Southnarc) with the information they have given me on this subject. I would like to know what you conceal carry?On one of the shows I saw u with Glock-42or 43. Was that just for the show?? Mike would you recommend a specific type of training in regards to using an edged weapon in an extreme close quarters situation? I know that you participate in Martial Blade Concepts. I am personally a fan of both Mr. Janich and Craig “Southnarc” Douglas but they have differing views on how and when to use an edged weapon. What are your overall feelings about using a knife for self defense and weapon retention? I am left eye dominate. I am a right handed shooter. Which eye should I use shooting my handgun? I have used both over the years. Which is best? Hi Marty. Eye dominance does not matter when shooting a handgun so you don’t need to change anything. The body will naturally put the gun in the correct position when you need to close an eye and use the sights. Eye dominance becomes an issue when shooting a long gun because of the cheek weld on the stock. Here is further explanation from an Instructor Development course conducted by Rob Pincus. My initial training was at FLETC for the FFDO program and certified with CLEFIA. I am seeking greater knowledge and skill.